Thank you for visiting SMA Loft Conversions. This web site has text based pages for quick & easy viewing but if you are having any problems with this web site or the information in it please contact us and we will endeavor to help you as quickly as possible. Below are some frequently asked questions that may help you but if you still have any unanswered questions please contact us for immediate service. Q. Why should I choose an FMB Member, to complete our loft conversions? Answer: All our projects are bespoke so timescales can vary according to size and specification. Specific times can be discussed with your designer & will form part of your individual quotation. Q. Will you arrange Local Authority Approvals? Answer: SMA will prepare plans and liaise with your Local Authority for all the necessary approvals. Q. Do you offer an insurance-backed guarantee? 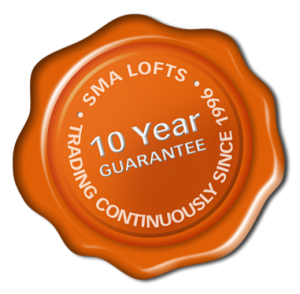 Answer: SMA offer insurance-backed guarantees on all our projects and conversions. Q. What about any other permits that may be required? Answer: SMA will arrange all required permits from skips to scaffolding if and when applicable.